Hamburg head coach Markus Gisdol has "intensively prepared" his team for the Nordderby against SV Werder Bremen and, having picked up the first positive result in his tenure in the 2-2 draw with TSG 1899 Hoffenheim last time out, could well name an unchanged line-up. Pierre-Michel Lasogga offers an alternative option for the lone striker role, while Luca Waldschmidt is unlikely to start on account of his recent knee problems. 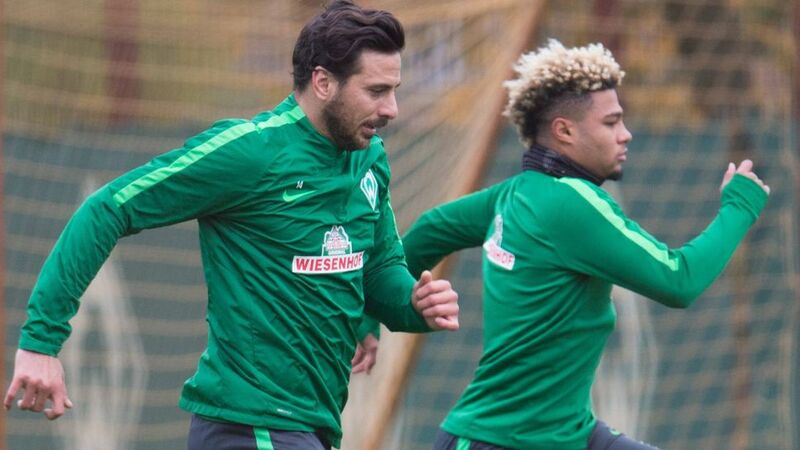 Having made his first appearance of the season in the defeat to Eintracht Frankfurt, Bremen's Claudio Pizarro may have to settle for a place on the bench should head coach Alexander Nouri wish to revert to his preferred 4-2-3-1 formation. Fin Bartels would be the player most likely to take the Peruvian's place. Nouri also admitted that he would "be sensible" when deciding whether to field centre-back Lamine Sane, who only returned to training during the week. Hamburger SV host SV Werder Bremen at the Volksparkstadion, with the game kicking off at 15:30 CET/14:30 GMT on November 26.